Come and discover the alluring options and elite compacts made exclusively for the wanderlusts who love to cherish the bestof luxury experiences. No matter which day you select in this tour, you will be provided the most luxurious experiences in one of the best luxury packages in Kerala. Leela Kovalam and the Raviza Ashtamudi are two of the best resorts in Kerala providing authentic experiences that pull you to explore the destinations with a unique perspective. Luxotic Escape will be an ever cherishing experience that you will never want to miss in your lifetime. The enchanting view of the Arabian Sea provided by Leela Kovalam and solitude of the Raviz Ashtamudi take you to the tranquilizing ambiance of Ashtamudi Lake will help you to discover the soul of Kerala with our Luxotic escape packages. The package will ensure you double opportunity to enjoy the deluxe accommodation, finest hotels, and bars in Kerala and the wellness spas you will ever get in the resorts in Kerala. Cuddled in the splendid backwaters Ashtamudi Lake, the hotel Raviza Ashtamudi welcomes you. It is situated in Kollam, which is built with a perfect blend of modern architecture and the traditional art of Kerala. 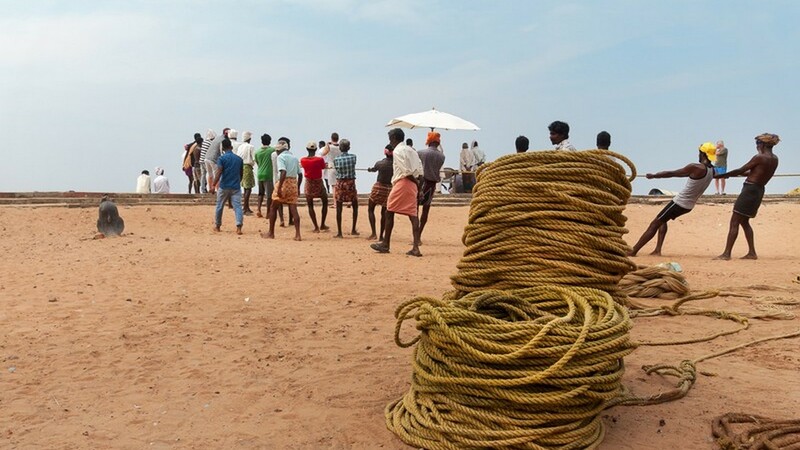 The traditional architects, artisans, the engineers and waterway specialists were involved in developing heaven in God’s own country. The hotel is spread over 5 acres in the elegant landscape of lush green gardens. It has 93 guest rooms which are delicately designed and incorporates the finest contemporary living style. The long-stretched backwaters and the easy navigation from the Trivandrum airport (74kms away) makes the hotel a peaceful place to stay. Its eco-friendly setting attracts the guest and offers a mind-blowing experience in the lap of nature. You will be provided legendary accommodation, savory cuisines, wellness facilities with green leaf certification and the mind refreshing cruising experiences. You will be received by our representative at Trivandrum international airport. Proceed to Kovalam. Check in to the luxurious hotel in Kovalam which is noted as one of the best beach resorts in Kerala. The mentioned hotel, Leela Kempinski Kovalam Beach is Kerala’s largest beach resort with its 183 rooms and suites scattered over acres and cradles between two beaches. Due to its position in a rock face, the resort offers you the most panoramic view of the Kovalam seashore. You can assure the most impeccable dining and entertainment facilities in the Leela Kempinski Kovalam Beach. They also provide better wellness spa treatment in Divya, a famous and authentic wellness spa. Overnight stay at the beach-view guestroom including private sundecks. Delicious meals will be served in the resort. In the morning, after breakfast enjoy the leisure time by exploring the Leela Raviz Kovalam beach resort. 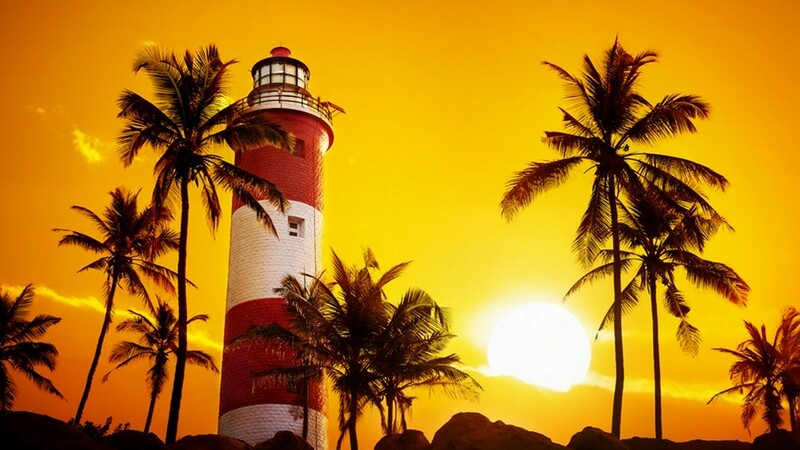 After having the delicious lunch, proceed to Kovalam beach to witness the beautiful sunset. 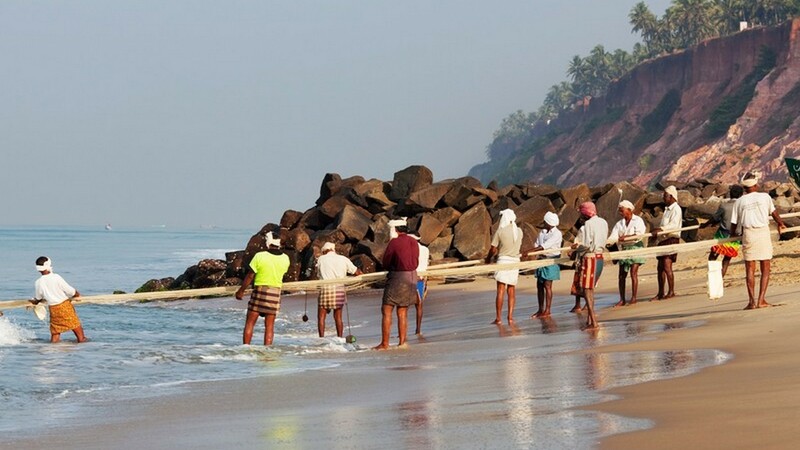 The lush palm groves, crescent-shaped beaches in Kovalam are the major destinations of International tourists. 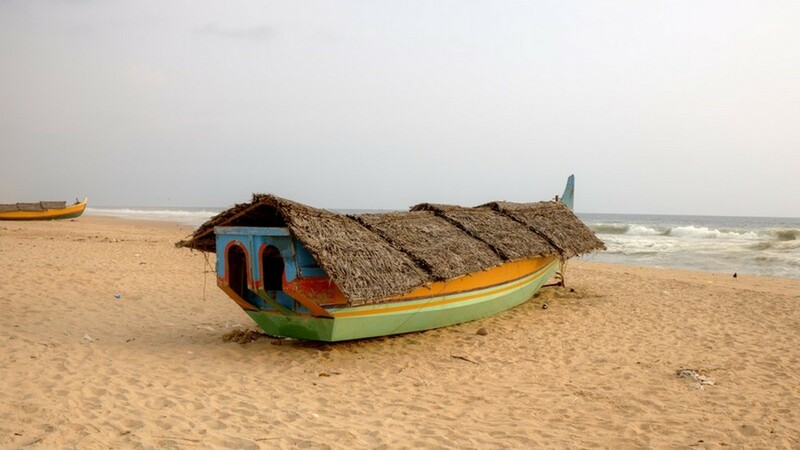 Other than the three main beaches of Kovalam, the Lighthouse beach, Eve’s or Hawah Beach and the Ashok beach, there are also many charming beaches along the coast. The thin waves that stretch to hundreds of meters usually opt for perfect swimming. The tourist destination in the seaside includes three crescent shaped beaches with golden sands, long stretched sparkling sea, rocky peninsulas that are regularly beaten by the surf, and the warmth of sunshine. Overnight stay at the resort in Kovalam. Check out from the resort in Kovalam beach after breakfast. Transfer to Ashtamudi Lake resort. 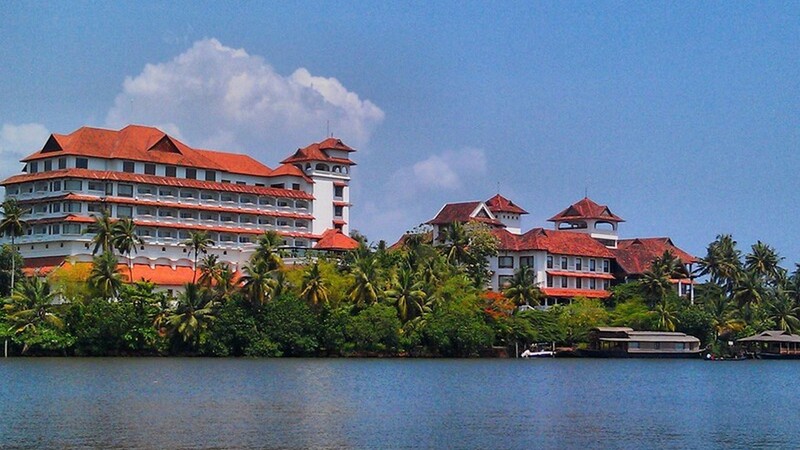 It is one of the most famous backwater resorts in Kerala. The Raviz resort brings out the real you. Their setting is appreciable that you can enjoy the smell of lush greenery, exhale the energy of sparkling water, and discover the tranquilizing effect of Ashtamudi Lake. The lake resort is made according to the traditional setting of Kerala with its own architectural style but not compromising the essence of contemporary life setting by providing well-refined dining restaurants, lounge which is scattered across the resort. Overnight stay is arranged in the resort. Spend your leisure day in Raviz lake resort by exploring the greenery of landscaped garden and the hues of Ashtamudi Lake. The resort is spread across the landscape garden with its 5 acres setting by gently touching the mesmerizing waves of Ashtamudi Lake. You can enjoy the uncompromising comfort of the resort which is beyond your expectations. The sunset during the backwater cruise, the traditional tea stall, and the cultural-traditional shows make your holiday breathtaking. You can try the Ayurvedic wellness spa in Kerala that heals your mind and body. Overnight stay is arranged in the resort. Our representative will pick you after the well-spent holiday at the topmost resorts in India and drop you to the Trivandrum International Airport for your flight back home. You can enjoy shopping and a few sightseeing on your way to the airport. The total distance in the Kerala Luxury Tour package covering Leela Kovalam Resort & Raviz resort Ashtamudi is 172 kilometers whch will be covered in 5 days.The tour involves stay in few of the best luxury resorts in Kerala and the road conditions can be crowded though on occasion with pedestrians, cattle and local traffic! The activities on this trip are geared for everyone. Type of Vehicle Private A/C Vehicle with chauffeur at your disposal through out the tour. Accommodation in Superior Lake View Room on double occupancy. Traditional Welcome and Welcome drink. Breakfast, Lunch and Dinner at Keraleeyam Restaurant. Evening Tea/Coffee and snacks from the traditional tea stall. Evening sunset houseboat cruise in Lake Ashtamudi for 30 minutes at 4.00 PM (Non-exclusive). Rejuvenating wellness 1 time 45 minutes spa treatment for the couple. Usage of Swimming pool, health club and other common facilities of the hotel. 10% discount on Laundry facilities. Cultural Programme in the evening on alternative days.